Beside the seaside? Strolling along the promenade? Add some sunny magic with this happiest of beach bags. 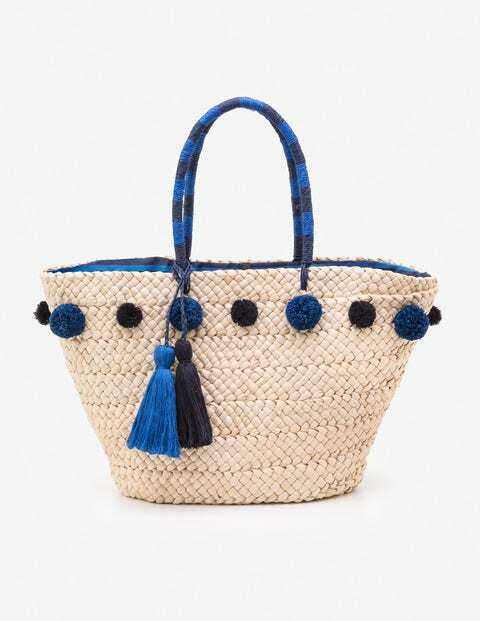 Sandy-coloured straw and multicoloured pompoms and tassels make it stand out, even at the fairground. Our signature striped lining hides a handy zip pocket to keep your loose change safe on the helter skelter too.